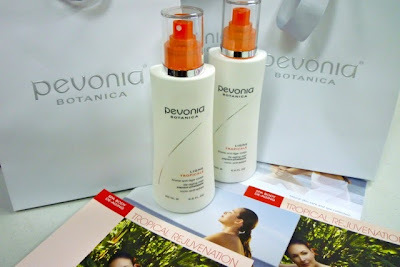 My Mom-Friday: My Tropical Delight Body Treatment from Pevonia and Fifth Season Spa + RAFFLE! My Tropical Delight Body Treatment from Pevonia and Fifth Season Spa + RAFFLE! One of my guilty pleasures is having a full body treatment at a spa. These days, I'd be lucky if I can squeeze in an hour of pampering in a month. 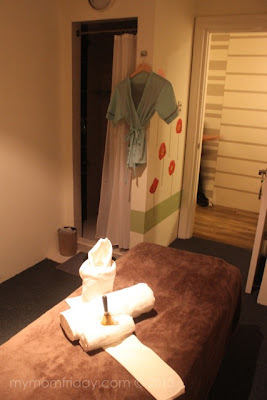 Last July, premium skin care brand Pevonia invited me to experience one of the special body care treatments at the newly opened Fifth Season Spa in Ortigas Center. I've enjoyed my Pevonia treatments in the past and the spa is conveniently located, so this was an invitation I could not refuse. 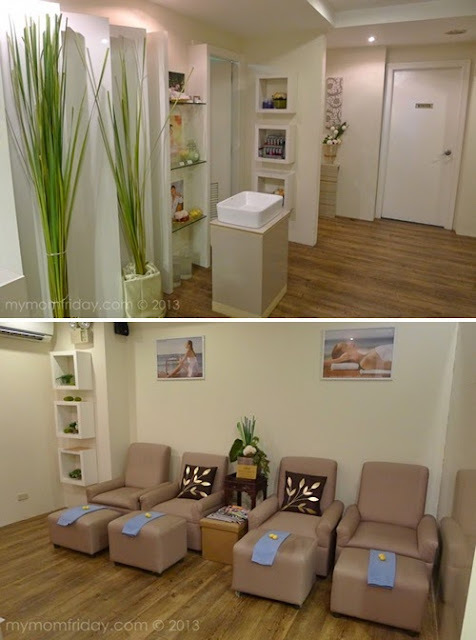 Fifth Season Spa, managed by Elohim Spa Solutions, welcomed bloggers and media friends at the formal opening of their cozy establishment last July 24. The place is smaller than other spas I've visited, but my stay was still very comfortable. 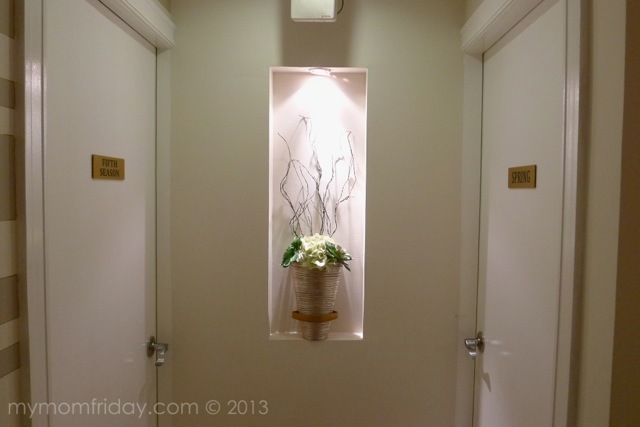 The spa is inviting, well-designed, and is conveniently located in Astoria Plaza, in the bustling Ortigas business district. Since my schedule was tight that day, my treatment was moved to another day so I can completely relax and experience their services without the rush. Here's a quick tour of the spa. This is where guests are welcomed and immediately ushered to the hand ritual area. It was my first time to experience this type of hand-washing service. I chose from different aroma salts where the oil-infused salts trigger the relaxation process. They also have a 4-seater lounge area where hands and feet get pampered. Winter, Spring, Summer, Autumn, and Fifth Season. Each room carry the season's theme while the Fifth Season combines all the four seasons in an elegant setting. Their services cater to both men and women. I like that Fifth Season Spa also provides their guests with Philippine-made products such as natural handmade glycerin soaps, and complimentary Bayani Brew iced tea from Gawad Kalinga. Before I left the event, I was able to take a peek of the Summer room - with light yellow walls and painted flowers in full bloom. 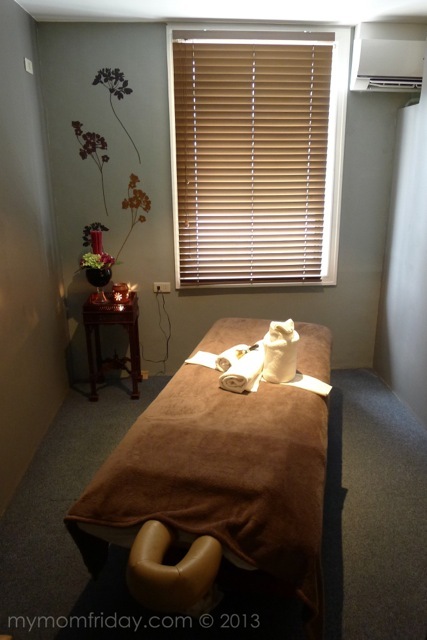 All private rooms have a shower area, vanity chair, massage bed, a robe, full set of towels, and a hand bell to call in the therapist. Check out more pictures from the event here in this album. Pevonia's Jenny Casitas, and Liza del Rosario of Elohim for the invitation. 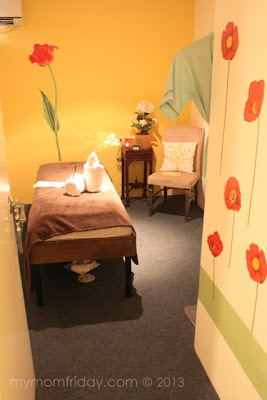 When I went back for my treatment a few days later, I was led to the Autumn room for my body scrub and massage. The Autumn room is done in a soothing muted shade of gray with burgundy floral accents. I was psyched and ready for my me-time. All facial and special body treatments use premium Swiss brand Pevonia, like the 120-minute body care treatment I indulged in. 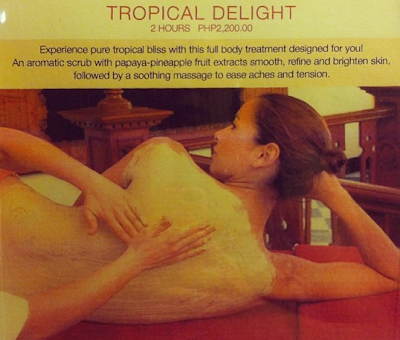 After my 2-hour treat, I really felt squeaky clean, fresh, rejuvenated, and relieved of my tense muscles and lower back pains. It was two hours well spent, thanks to Pevonia and Fifth Season Spa. You too can enjoy the same pampering I had by joining my blog giveaway! as a complementary product after your treatment. Prize package is worth PhP 8,000! 2 lucky Winners will be drawn! Follow the steps via Rafflecopter and submit your entries. Earn bonus entries if you do the extra steps, like sharing on Facebook or following on Twitter and Instagram. Raffle will close on August 26, 2013 midnight. Two (2) winners will be announced the week after raffle closes and will be notified thru email. Winners can go to Fifth Season Spa to claim the Pevonia prize and avail of the Tropical Delight treatments with a companion. Prizes should be claimed within 60 days from email notice. Winners should be willing to have a photo-opp/picture-taking with the sponsors when they go to Fifth Season Spa for their scheduled treatments. 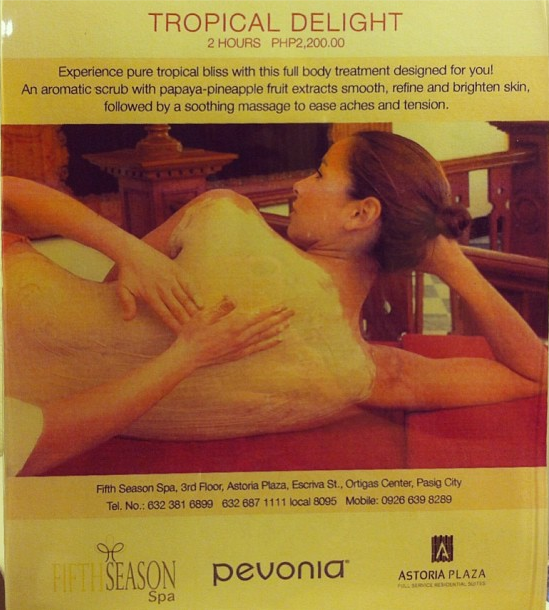 Employees of Fifth Season Spa and Pevonia Philippines are disqualified to join.